Basking in the Sun is a great feeling. In order to reduce the risk of getting skin cancer, people don’t spend much time in the sun. But, do you know, when we don’t get enough sunlight there is a roaster of negative effects on our health. That is the reason why sustainable homes are designed nowadays. Let us look at the reasons why each room should have a proper sunlight. Psychologically good: When you morning sunlight you brighten up in a similar manner, Right? The natural light turns your dull day into a day full of optimism. It creates an energetic environment that is boost productivity. People more exposed to sunlight have better cognitive powers. Workers show more productivity in sunlit areas than those without exposure to sunlight. Sunlight is important for your home because it is not a workplace but a place that should be full of energy and positivity. Healthy it is: Apart from helping you grow and maintain the greenery in your house, natural light has many benefits associated with it. Like, it reduces the production of harmful bacteria in the house. Act as a natural disinfectant. UV rays are a natural antiseptic and have recognised healing power. Sunlight increases vitamin D and B thus improves digestion, blood circulation and appetite. It increases RBC and WBC counts and boosts immunity. It balances hormones, boosts energy, strengthens organs and gives a better sleep at night too. The best! It is economical: With enhanced sunlight, you can expect some reductions in your utility bills. This was not always the case. Windows and doors of the past did not have the air-tight insulation capabilities that today’s products possess. Today’s doors and windows save energy. It really is that simple. Enhanced Sustainability: Natural sunlight provided by nature is a magnificent benefit. It is an advantage to the environment as it decreases the use of fossil fuels to produce electricity. The more exposure to sunlight given to our home, the more sustainable, healthier, happier and comfortable life we will lead. Lastly, Natural is always safe: Increased sunlight in the home provides a much accurate sense of illumination. The natural light makes it easier for you to do your work easily such as reading and can help to avert unnecessary accidents. We are sure you have a long wish list for your dream home but keep in mind to seek more natural light in your home. 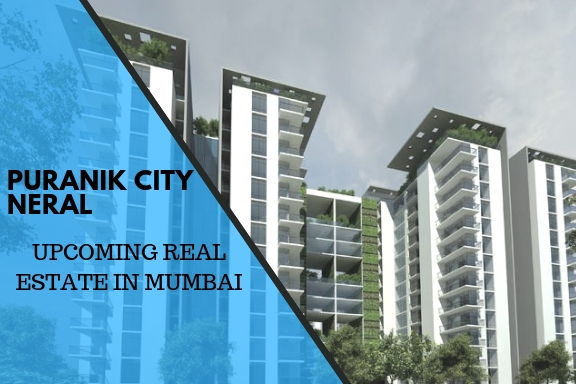 For that matter Puranik Future City Neral, Mumbai is the best residential option for you. Puranik Future City Neral residential apartments give very spacious and airy units i.e. a perfect abode at a very affordable price for common mass. The project offers best in class furnishings and fittings by excellent architects. There are 1,2 and 3 BHK flats in Puranik Future City project. Each room has sufficient large openings captivating sufficient natural light and ventilation. The units are crafted to perfection with sizes ranging from 900 sq. ft. to 1700 sq. ft. the project is located at prominent region Neral, Mumbai, that is the greatest place from a residential point of view. How To Find The Best Property In Mumbai?